Great tour. Delphine was knowledgeable, fun, and accommodating… Highly recommend her! We had a great day with Delphine. Having a knowledgeable and safe driver in a nice big vehicle made all the difference. All 5 of us felt money spent was worth it. It was nice to have Delphine lead the way and avoid the rain! Thank you for a great day to Hana! Delphine is a great guide. She knows the area and tailors the tour to meet your interest and desires. She is very personable and because she has lived many places brings an interesting perspective. Would definitely take another tour with her, maybe the road to Hana. TOUR GUIDE RESPONSE: Thank you Cynthia!! It was such a pleasure to spend the day with you and your beautiful family, talking stories about travels and Hawaii! Hope to see you again on your next trip!! we had a great day! Delphine went above and beyond - she drove back to the restaurant to get our bag we inadvertently left. Highly recommend! Delphine is a wonderful guide, and a wonderful person to spend the day with. She's very knowledgeable and well prepared. I would highly recommend her tour. 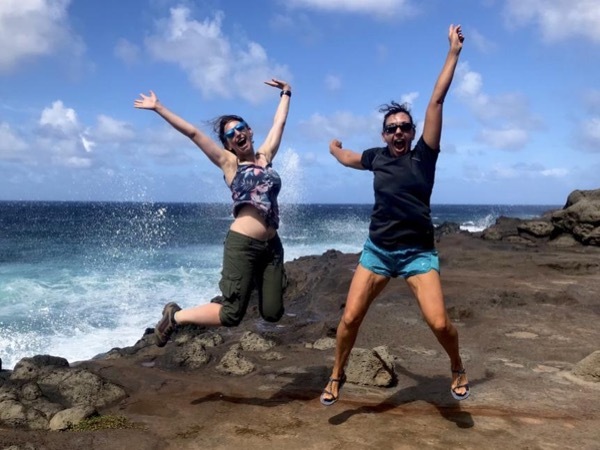 Delphine's Road to Hana tour is a huge amount of fun, including an opportunity (if the weather and water conditions permit) for swimming in a pool made by a waterfall and a swim in the ocean at a black-sand beach. The views are spectacular, with many opportunities for great photos! I would highly recommend this tour. Delphine did a great job with out tour. We saw such diverse landscapes and some out of the way places that she thought we may enjoy. She knew the not to miss spots on the road to Hana and our lunch spots were awesome! ToursByLocals is the way to go should you decide on hiring a driver, which I would highly recommend! TOUR GUIDE RESPONSE: Mahalo Sandra! I’m so glad you and your lovely family enjoyed your day on the road to Hana :-) Aloha! Delphine was the perfect guide for our family. She quickly understood what type of "adventure" we were looking for and tailored the trip accordingly. Her driving was safe; her knowledge of the area helpful; her extra niceties (e.g. hand sanitizer, snacks, bug spray, muscle rub, towels, etc.) very thoughtful; and, most importantly, her company pleasant. I hope we have a chance to explore more of Maui with her again.